Jen Martin knew what she wanted and has a strong sense of style but her tiny back yard in NE Portland had her stymied. Jen wanted play space for her kids, room for growing veggies and more privacy. The view of her neighbor at her kitchen sink seeing Jen at her kitchen sink was not acceptable! She had a sophisticated entertainment area which she wanted to keep but she also wanted room for her kids play structure. She needed to make every inch of her back yard count. There was an arbor that gave drama and beauty to the back yard. It was part of what sold them on the house and yet the first thing I said to remove. The location of the dramatic arbor ruined the usability of the small yard. We settled in at the kitchen counter along with her young (but helpful) Norwegian Forest Cat and created a half dozen “flow” designs as part of her Landscape Design in a Day. 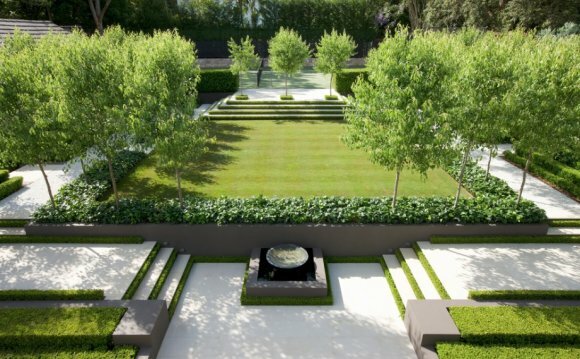 The best design made itself clear and then we created a planting plan that fit her goals and style. I could not believe how quickly they installed the new design. Her brother did all the concrete work which was intricate and extensive. I designed unusual openings for plants in the patio floor that emphasized the modern style Jen loves but I’m sure it wasn’t easy to frame and pour.